I’ve spent lots of time in the saddle this month; sadly, not much of it on my own horses. I always enjoy riding other people’s horses—whether it’s getting on a horse in a clinic to help the rider figure something out, or riding a loaner horse for a demo at a horse expo. One of the perks I love most about my job is how many different horses I get to ride. Every horse has something to teach you—even if you’ve literally ridden more than a thousand different individuals. 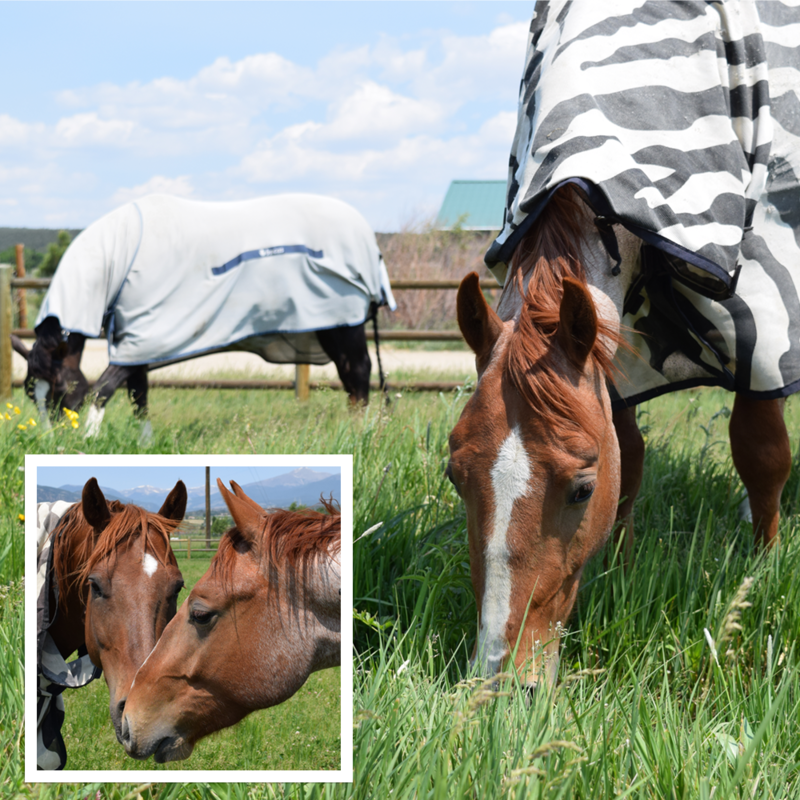 At home, my horses are mostly enjoying their brief time to graze on green grass (we are officially in a drought, so once the irrigation dries up, the grass will turn brown if it doesn’t start raining). My mature horses are getting their regular work load, thanks to Melissa and Morgan (our summer intern). My new colt, Pepperoni, is still having some R&R—hanging out with Uncle Brutus (Eddie) and Uncle Daddy (Dually). They are keeping him straight. We bring him in with the older horses, to stand tied and learn patience. Once this month is over and I am home for a while, I plan to get started riding him. I can’t wait!